On July 16 at 10:18 pm, police responded to a domestic violence call at a residence on West 6th Street. It was reported two women had been assaulted, a mother and her daughter. The suspect is the daughter’s boyfriend. Officers learned that the daughter, 44 of Mountain Home and suspect were arguing. 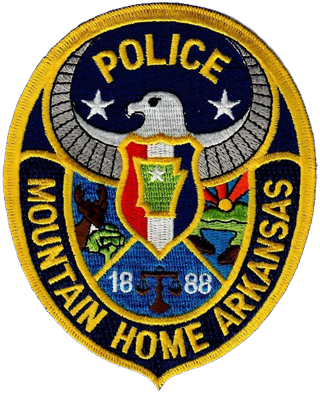 The suspect, ARTHUR MELVIN, 46 of Mountain Home, had pushed and tore the shirt of the victim. The mother, 66 of Mountain Home, arrived and witnessed the suspect grab her daughter by the throat and she then struck MELVIN with a stick attempting to free her daughter. MELVIN then pushed the two woman out of the residence. The residence is owned by the daughter and gave permission for officers to enter the residence. MELVIN locked the doors to the residence and refused officer’s multiple requests to open the door. Officers continued attempts to speak with MELVIN, but he yelled at and cursed the officer’s multiple times. Officers were able to gain access to the residence and the suspect was tased as he continued to refuse to obey verbal commands of officers. He was charged with 3rd Degree Domestic Battery and incarcerated in the Baxter County jail with bond set at $1,000.